New to area and don’t have a Gynecologist. Having a “girl issue” and need to get seen asap. Is it months waiting for apt getting a referral from walk in clinic dr? Would I be better off just going to the ER? Next story Colour correction for White Hair! Previous story What’s wrong with women now a days?! I got a new one within a year because my previous one lost hospital privileges. I’m with Dr. Morris now and he’s fantastic. Had surgery with him yesterday. No pain. I heard good things about Dr. Splinter too. Joanne Ouellet was your previous one Dr garissa? And splinter is awsome! Hahaha yes it was Dr. Garissa. Morris is a good one. You get in faster if it’s a referral from a family doctor. But it shouldnt take to long to get one. Mirka, splinter, or Jacco are amazing gynos. Dependent on the issue, you can also try the health unit in rainbow centre, they do pap test, STD testing, not sure what else but I’m sure there’s more. Go to the health unit or the women’s center. They will take good care of you. Go to the health clinic downtown? Health unit helped me out majorly!!! Crys Ross oh yes. The health unit. I forgot about them. Paige Dénommé sadly I haven’t seen my family doctor in years. I may no longer be in the system. You can always get a clinic to give you a referral as well! Paige Dénommé i’ll check it out!! Thanks! 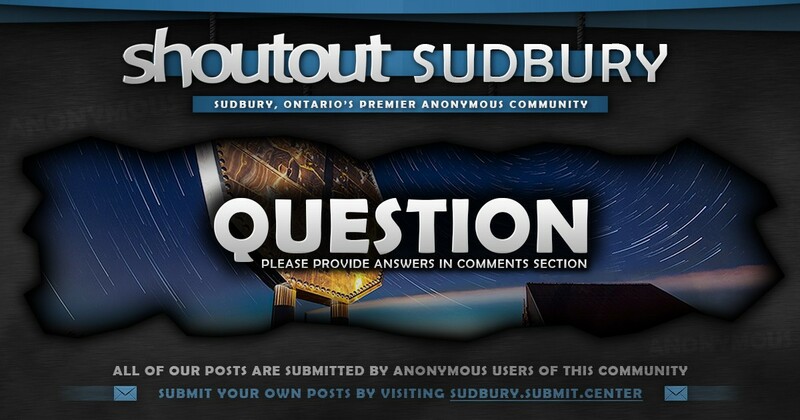 I would probably ask your family doctor instead of all the doctors sitting on facebook reading shoutout sudbury. Waiting for your clinic referral will be shorter than sitting at the ER. Can take a few years unless your half dying. I had to go down south they took care of me. But then i finally got gyno here amd now i have to go back down south to see a specialist. Good luck but maybe ask to see if northbay or barrie is faster. I imagine that whatever it is you have, can mostly be dealt with at a walk-in clinic. If it’s sexually transmitted infections, I would perhaps make an appoint with the nurse practitioner at the health unit. Maybe in the meantime garnish it with a wedge of lemon just to keep it fresh. Just go to the after hours clinic. Keto crotch got another one? I believe the woman center in the rainbow center downtownhas one or two days during the week in the afternoon where no appointment is necessary it’s just walk ins. However if seeking a gyno doctors you know is amazing he is fantastic super thorough ,great bedside manner, extremely genuine. He saved my life a few years back he is par non my favorite..
i would definetly go to a clinic and get a referal befor going to the ER.